I hope 2014 has gotten off to a good working start so far? 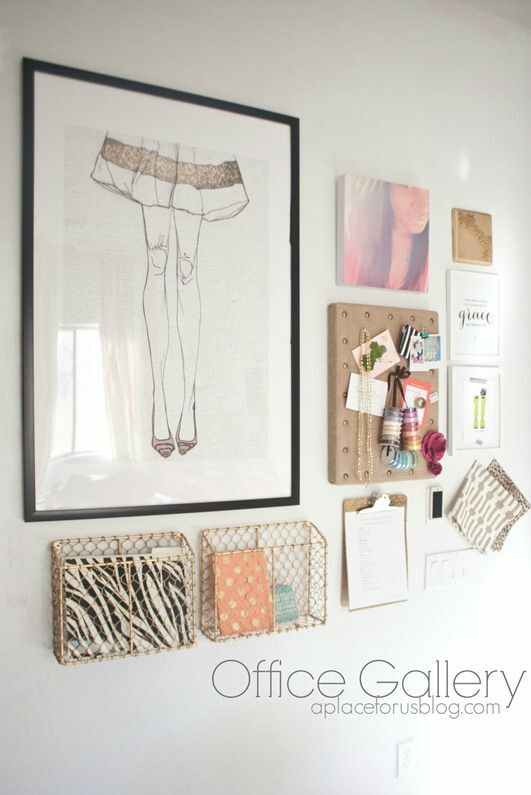 Love this office gallery wall by Dwelling Cents. It’s sleek and clean and I love the white frames and the subtle, yet fun pops of yellow. Jen from Made By Girl has the most amazing Office Wall Gallery that features a lot of her own prints (which are available in her Etsy shop). I love the splashes of gold and how well the mix of prints work together. 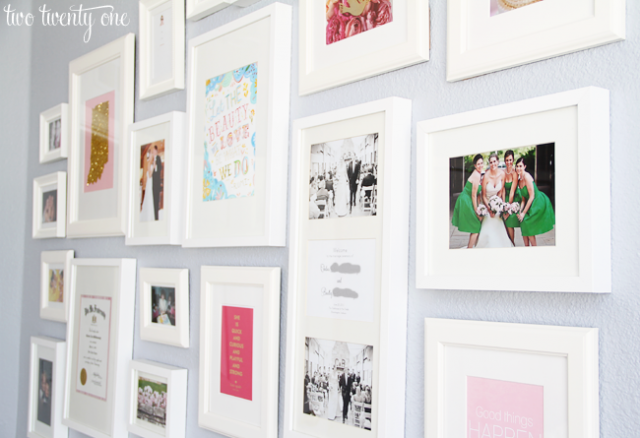 She also has some great tips on creating your own office gallery wall, so make sure to check them out on her blog. Once again, love the white frames and colourful collection of prints that have been combined with personal photographs. 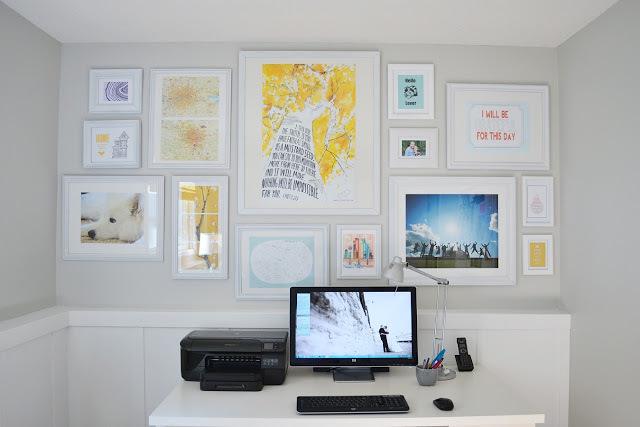 This office wall gallery is by twotwentyone.net, who shares some great advice on creating your own gallery wall too! 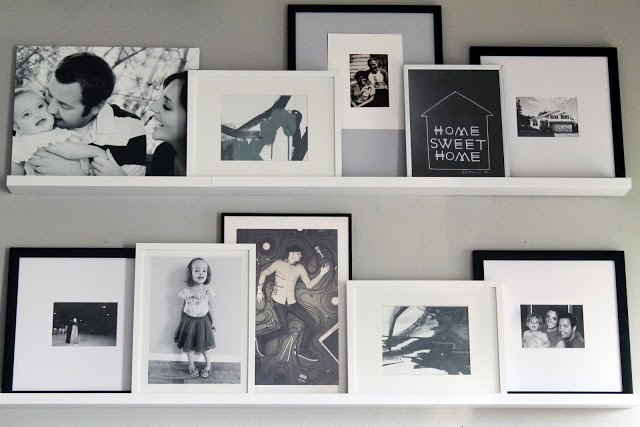 Clever ways to create a gallery of art and use your wall in a functional way to store notes, gadgets and notebooks. Image Sourced from Pinterest – unfortunately the original author’s URL is no longer active. So, what are you guys doing with your office space?